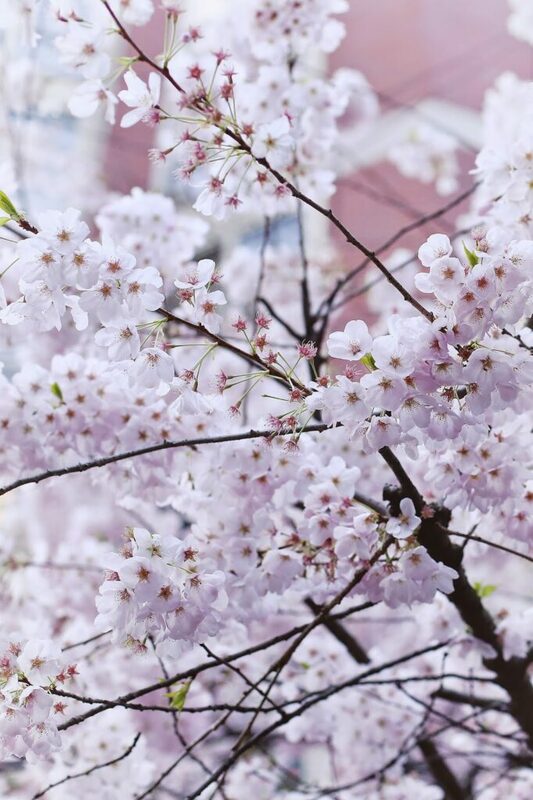 The cherry blossoms are out, the rain the weather forecast called for this week just never showed up and this morning, I wake up to the sound of birds chirping outside my window. It’s official – spring is just about here. Though summer has my heart, spring is a very close second, particularly this fleeting time of the year where we still have one foot in winter and one foot in spring. The temperatures aren’t quite balmy, but it’s definitely time to put away the bulky coats and layers as well. Cue in my style fix for this precarious beginning to the new season: the belted scarf. As stylish as it is practical, it’s my easy style go-to nowadays, and best of all, that covetable Aritzia scarf that so many of us have is the perfect piece for it. Click through to discover 5 ways to nail this trend! 1. Style it up just like I did here with your go-to sweater dress from this past winter and either go sans tights if you’re in milder temps like we are here in Vancouver or add in some opaque tights to stay warm if you’re still experiencing a bit of a freeze! 2. Wear it like I did here with a chunky cardigan and either a dress again or a pair of skinnies and a basic T. Love this particular trick for that super layered look without adding too much bulk – throw a cropped jacket on over top if you need the extra layer! 3. Go boho and wear a long silk or linen scarf with a maxi dress or skirt (bonus points for print mixing, though you can also achieve a really beautiful minimalist effect by layering tonal neutrals here). 4. Either fold your scarf in half or grab a shorter scarf and cross it over in front, creating an almost vest-like silhouette. Top it off with either a leather moto or a light trench – I think this would look especially cool with something baggier on the bottom like distressed boyfriend jeans. 5. Grab a light military coat, trench or even a poncho and throw the scarf on over top, either using the coat’s own belt to cinch in at the waist if the coat comes one with one or using a thick leather men’s belt to tie it all together. And one bonus! I haven’t seen this anywhere yet and I haven’t tried it myself, but I think a lighter printed silk scarf would look killer with a pair of high-waisted flares, all cinched in around the belt loop of the pants. I think this would be especially amazing with a Canadian tuxedo vibe underneath to really tie together the ’70s vibes! On my list to try! As part of my shop-my-own-closet-more focus these days, this trick is a lifesaver. I also love the fact that you can make use of both your spring and winter scarves, extending the life of the latter and incorporating the former into your wardrobe earlier than you were planning. And now I’m off! I have a crazy busy day from meetings to fitness class (stay tuned for details about how you can get your own Class Pass, which I have been using all week and loving) to a hair consult to finally chop off this tired old mane of mine. Follow along on Snapchat to see it all in action at @tovogueorbust! 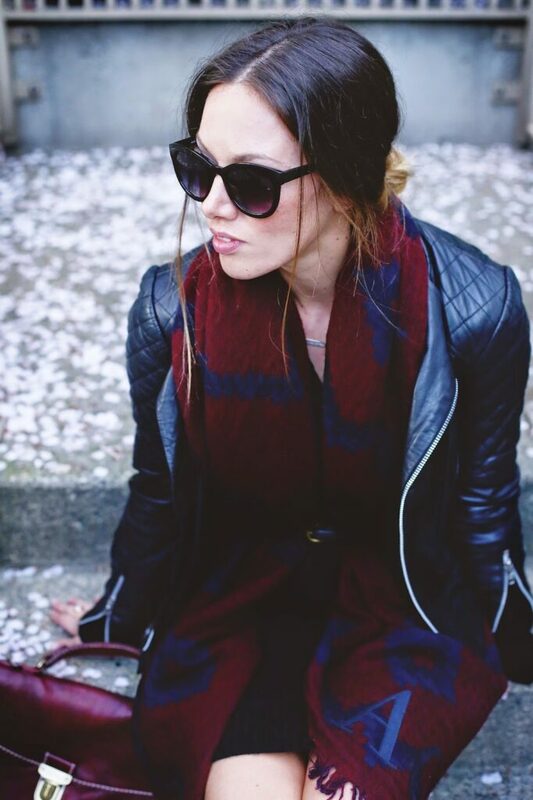 Love how you styled the scarf! You look great. Fantastically styled outfit! 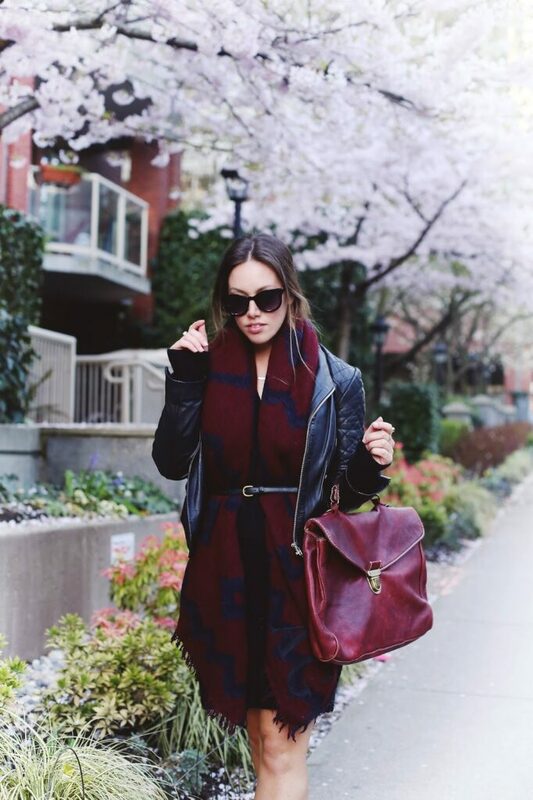 I like our scarf and bag very much! Love the belted scarf and love the photos too – such a wonderful photo background! I can never get enough of the scarf tucked into a belt look. Stunning as usual!